Auckland, 22 January 2015 – Senior Managing Director of CBRE New Zealand, Brent McGregor, said that the company was delighted to recognise the individual performance of its people through the 2015 promotions. In Christchurch, Brynn Burrows has been promoted to Director in the office’s Agency team. Brynn is responsible for office and retail leasing along with investment sales within the Christchurch office and recently celebrated 10 years with CBRE. Jeremy Keating has also been promoted to Director. 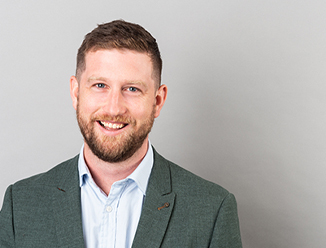 Based in the Auckland office in the company’s Agribusiness team, Jeremy plays an active role in providing real estate strategy, acquisition, divestment and delivery services to Agribusiness and private sector clients throughout New Zealand. In the Industrial and Logistics Services team, Mark Bramwell has been promoted to Associate Director. Mark works in the South Auckland office and specialises in the Wiri industrial market, where he is renowned for his experience and market knowledge. There have been several promotions in the Valuation and Advisory Services team. Tom Stafford and Chagalle Ellis have been promoted to Associate Director. Tom is a key member of the Retirement Housing and Healthcare team with wide exposure to these sectors. Chagalle has significant experience in all aspects of commercial valuation within South Auckland, specialising in retail and industrial property. Todd Sandford and Victoria Wallace have been promoted to Registered Valuer following their admittance to the Register of Valuers at the end of 2014. The Asset Services team has promoted several staff members. In Christchurch, Melissa Soal has been promoted to Property Manager and in Wellington, Wendy Richardson has been promoted to Assistant Property Manager and Erin Hansen to Tenant Liason Manager. In the professional services side of the business, Olivia Stevens has been promoted to Manager of Global Corporate Services in the company’s Wellington office. Tim Wiles​​ has been promoted to Research Manager in Auckland’s CBRE Research team.